International CES 2013; More than 3,250 exhibitors unveil new technologies across 1.9 million net square feet to well over 150,000 visitors. “Some 20,000 new products will launch this week at the 2013 International CES and we couldn’t be more excited to kick off this record-breaking show,” said Gary Shapiro, president and CEO, CEA. “CES has an incredible story to tell with every major technology company spanning the globe participating in this year’s CES to showcase their innovations." The HomeToys Team has scoured the news pages and product announcements to bring you a neatly compiled list of some of the new and interesting products we think are important to the Home Technology and AV Systems industry. Our International CES 2013 Newspage is packed with over 150 press releases from the show. Click here to view the CES 2013 Newspage. SANUS offers a diverse new assortment of iPad and iPad Mini mounts that allow you to get your iPad up and out of the way while keeping it accessible and protected. SANUS iPad mounts give you multiple options so you can choose the best application for your lifestyle: mount your iPad on the wall, under a cabinet, on any flat surface, or on metal surfaces. Each SANUS iPad mount comes with a specially engineered neodymium case that protects the tablet and features exclusive MagFit™ technology for easy attachment and detachment from the mount without tools. Simply unclick and go. Cases for the iPad (Generation 2, 3 and 4) are available now. Cases for the new iPad Mini will be available in spring 2013. IAV LightSpeaker® will add sound to your kitchen, living room, boardroom, garage or master bath in mere minutes. The LightSpeaker is the first product to combine efficient LED lighting and wireless sound in a single unit that screws in like a light bulb into a pot light fixture or table lamp. By combining audio & light into a single unit, aesthetics are greatly improved by not having to install seperate pot lights & large speaker components that clutter up your ceilings. The IAV LightSpeaker® relies on a standalone transmitter to deliver sound wirelessly, save thousands of dollars just not having to run cables! . A source connects ie: iPod, Laptop, A/V receiver to the transmitter and it wirelessly sends sound to your IAV LightSpeakers. Up to 16 IAV LightSpeaker's work in a system, providing stereo sound in multiple rooms and easily uninstalls if you move. Enado is a combined hardware and software solution using a compact 1U 19” controller unit with 16 assignable IR ports and built-in Wifi that is designed for compatibility on ALL platforms, including the full Apple range, Android, in fact, almost any device with an internet browser. With a feature set that also includes HD to IP streaming to control all your content from anywhere in the world with a wireless connection and remote access via a secure log-in to observe the system and verify performance in real time, Enado is every bit as flexible as it is intuitive. This versitility extends to CCTV functionality with a simple system expansion with remote monitoring possible from any internet enabled device. The SMC-1000 is a high fashion, integrated media console that features a variety of both wireless and wired connectivity options including an Apple Lightning dock, Apple Airplay, Bluetooth, HDMI ports, USB ports, digital inputs, NFC and more. It delivers a high performance audio experience with a 2.1 stereo system, all while neatly storing your external devices and wires, allowing you to focus on superb sound and images instead. HC7900DW 3D projectors feature quick-response DLP™ pixel elements that minimize crosstalk, preventing mixing of left and right eye images. High-definition images reproduce with nominal image lag for minimal judder. And flicker is reduced when the screen in white using an additional 120Hz conversion process. All the pros, none of the potential 3D cons. The HC7900DW home theater projector utilizes Mitsubishi Electric's cutting-edge image-processing technologies to project beautiful, exciting cinema-like images in the privacy of your own home. The WS100 monitors employ custom-designed tweeters and mid-bass drivers based on the C-CAM transducers used by Monitor Audio's flagship hi-fi speakers. C-CAM is our proprietary driver material, derived from the aerospace industry. It's extremely light, but also very rigid, and so is able to reproduce best-in-class highs and dynamic lows accurately and effortlessly. The kits will enable the development of the first Voice Command enabled Bluetooth® low energy remote controls as well as a low power, robust link for motion pointing and gesture capabilities. And, in collaboration with Hillcrest Labs, CSR has created its solution to work seamlessly with Hillcrest’s Freespace® MotionEngine™ software, which has become the standard for motion control in consumer electronic devices around the world. The new kits are based on two CSR devices: the CSR1011™, part of the CSR µEnergy® platform, which is optimised for keyboards and remote controls; and the CSR8510™, a dual-mode Bluetooth solution optimised for TVs and STBs using human interface devices (HID) such as remote controls. 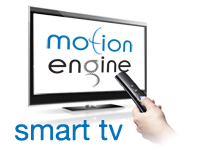 New remote control functions and capabilities are needed to meet growing consumer demand for a faster, more immersive experience using services and features provided by next-generation Smart TVs and STBs. Monitor Audio's diminutive MASS home cinema system offers sculpted space-efficient design, packed with technology and easy-installation features to make the introduction of high quality home cinema sound into any living space a simpler and more satisfying experience. The compact MASS 10 satellite speaker and its centre-channel counterpart have a stylish construction of rigid polymer, enveloped in a black cloth finish and crowned at either end with contrasting solid aluminium end caps. Their eye-catching curved design is ribbed internally and enhanced by variable wall thickness to produce the most inert enclosure for the twin C-CAM® drivers: a newly developed 1" tweeter and 4" bass/midrange. The MASS W200 Subwoofer has an on-board amplifier, controlled by an advanced DSP and custom-tuned in the software to optimise the response characteristics of the drivers for the deep, sustained bass delivery that distinguishes the best home cinema systems. It powers a side-firing 10" long throw C-CAM bass driver equipped with a large, dual-stack magnet system, which produces high electro-mechanical damping to ensure there is no overhang, keeping the bass lines perfectly in time. Complementing the active driver is a 10" Auxiliary Bass Radiator (ABR), the two working in tandem within the W200 to generate the output and scale normally associated with ported designs, but with the fast accurate transient response of a sealed box. Bryston LTD has announced the introduction of the BDP-2 digital music player, an enhanced version of the venerable BDP-1 that accommodates larger music libraries with faster load times. Both the BDP-1 and BDP-2 were designed to give music aficionados the ability to enjoy their library of high-resolution digital music files (resolutions of up to 24-bit/192kHz are supported) residing on a USB storage device, which in turn is directly connected via standard USB cable or thumb drive to the Bryston digital music player. New to the BDP-2 are six USB 2.0 inputs and upgradability to USB 3.0, future-proofing the device as a long term solution. Additionally, the BDP-2 contains eight times the internal memory and three times the processing speed compared to the BDP-1, which will remain in the Bryston lineup alongside the BDP-2. “The user interface and sonic qualities of the BDP-2 are identical to the BDP-1,” explained Bryston VP James Tanner. “We have given the BDP-2 NAS and eSATA drive connectivity, UPnP/DNLA client/server support and much more speed for those customers with very large libraries of music files,” Tanner added. “The BDP-2 is the logical step-up product in terms of features and functionality based upon the success we have had with the BDP-1,” Tanner concluded. The BDP-2 features two RS232 ports for control system connectivity and two Gigabit Ethernet connections, all pointing to a new internal motherboard powered by an Intel® Atom™ processor. The 10A peak power supply in the BDP-2 is more robust than the BDP-1’s power supply to accommodate these changes. The BDP-2 also has accommodations for a user-supplied internal drive* that should be installed by an authorized Bryston service facility. The BDP-2 has an MSRP of $2995 and the BDP-1 remains in the Bryston lineup at $1995. The BDP-2 is available now. The low cost audio hub not only provides simplified wireless setup with WiSA certified speakers but is also an essential connection platform in a home theater system providing basic connectivity and audio decode for high definition sources such as Blu-ray Disc™ players, set top boxes, game consoles and TVs, offered in a desirable small form factor (7.5"x5.25"x1.5"). The audio hub reference design is compliant with the latest version of the WiSA Compliance Test Specification (CTS). The CTS is the industry's first compliance test specification that outlines an interoperability testing and certification program aimed at products that offer wireless, interference-free, uncompressed HD audio by taking advantage of the unique 5GHz Unlicensed National Information Infrastructure (U-NII) frequency band. 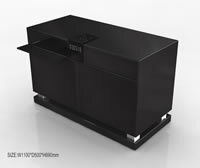 The reference design is architected to ensure interoperability with WiSA-enabled speakers and to deliver key audio performance and ease of use characteristics (i.e. volume, audio latency, network setup, audio channel assignment, scalability, etc.) independent of price point and speaker attributes. The smart home of the future starts with the wireless communications that connects all the devices and sensors. 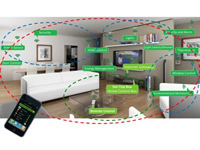 This is ZigBee, an open standard that wirelessly connects devices to the set-top box or gateway, and makes them controllable from any place in the house or anywhere in the world. The new GreenPeak 690 chip – for ZigBee Pro applications – joins the GreenPeak 500xx chips for RF4CE and the GP410 single chip ZigBee Green Power solution. To tie it all together, GreenPeak provides the GP710, the industry’s first single radio dual stack chip for set-top boxes and gateways. The GP710 supports multiple protocol stacks and is capable of communicating with ZigBee PRO, RF4CE and Green Power devices at the same time, connecting the Smart-Home ZigBee network to the Internet as well as local remote controls. The Wireless 5×2 HD Matrix allows individuals and families to create the custom viewing experiences that fit their needs. A home user can keep the cable box, Blu-ray player, game console or media server in one room with a HDTV accessing content and send separate content wirelessly to another HDTV in any room up to 100 feet away. This means parents can watch their weekly TV dramas, while the kids enjoy their favorite Blu-ray movies in another room. The wireless connectivity does not require a line of sight, so home theater devices can be stored neatly away in one location, and wirelessly send content though walls to another room within the home. The applications are nearly limitless, such as setting up TVs in a bedroom, kitchen, den, patio or game rooms.